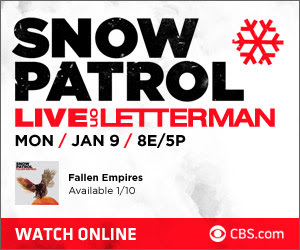 To go along with our "Hottest Ticket in Town" feature, Snow Patrol will be performing on Live on Letterman on Monday. You can stream the performance at CBS.com at 8pm (EST). Be sure to pick up the bands new album, Fallen Empires on Tuesday!